breakfast recipes Archives - THE OLIVE BLOGGER - Recipes your family will love! Wheww so crazy to think we are already in 2017…like where did 2016 go!? I can’t say that I am not happy about that though, 2016 was definitely not my favorite year and I cannot wait to see all the goodies we are going to cook up for ya’ll this year! With that being said, I thought this was the perfect time to start talking about breakfast…specifically Breakfast Muffins! So I decided to compile a lovely list of some of my favorite Breakfast Muffins from some of my favorite blogger friends! 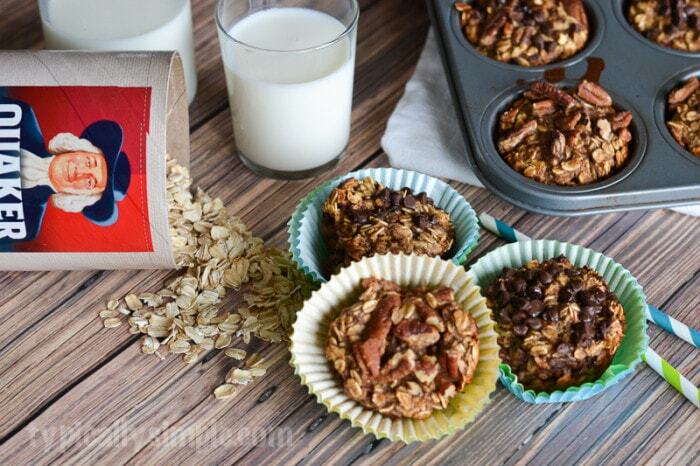 The very best Breakfast Muffins to start any day! Loaded with traditional savory muffins as well as some sweet treats to curb your morning sugar cravings! 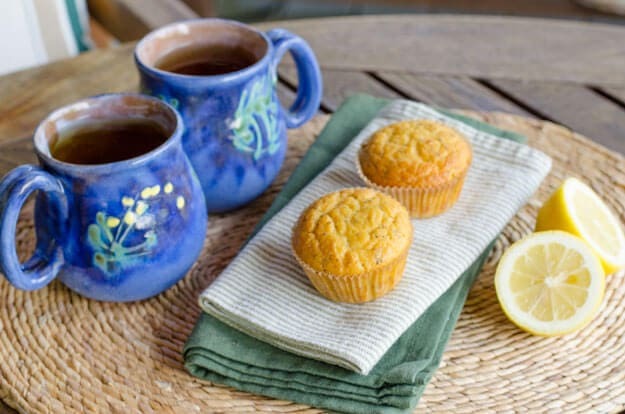 I chose to share both the savory and sweet types of muffins you can make to enjoy. Let’s be honest we don’t all want to eat an egg and veggies every morning! These scrumptious little gems have a gooey fruit and honey filled center that will brighten up your mornings. Recipe yields 24 muffins, perfect for having on hand during the week for grab-n-go. Click here for the full recipe now! 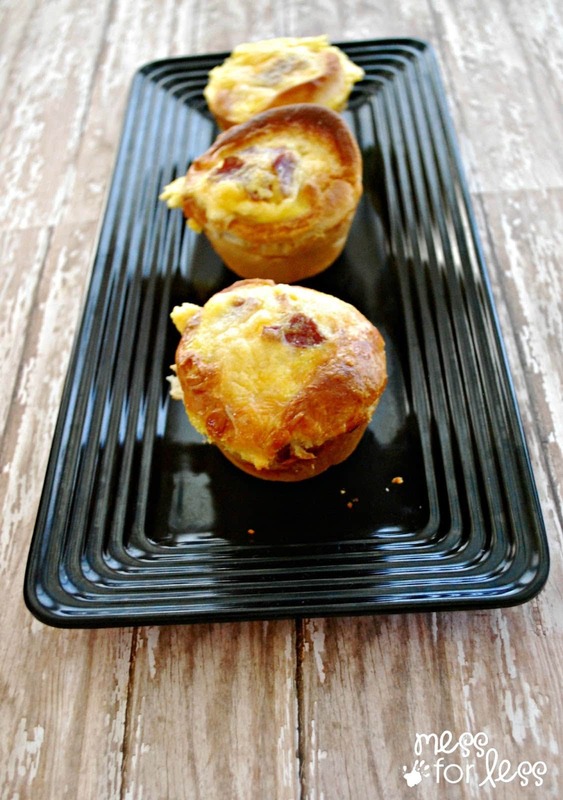 This muffin is an update on the traditional egg breakfast muffin that uses pork bacon, making this one less salty and an all around healthier option for those of us wanting to start this new year off right! I love that you can freeze these ones too and enjoy them whenever you want with just a quick heat in the microwave. 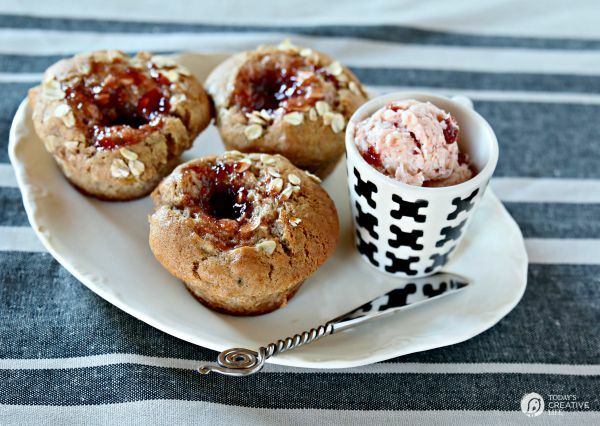 A super simple morning treat that uses bananas rather than flour to make a yummy muffin you can take anywhere. She even adds in some chocolate chips and mixed nuts (which you can omit) to curb that pesky sweet tooth! Click here to get the full recipe now! 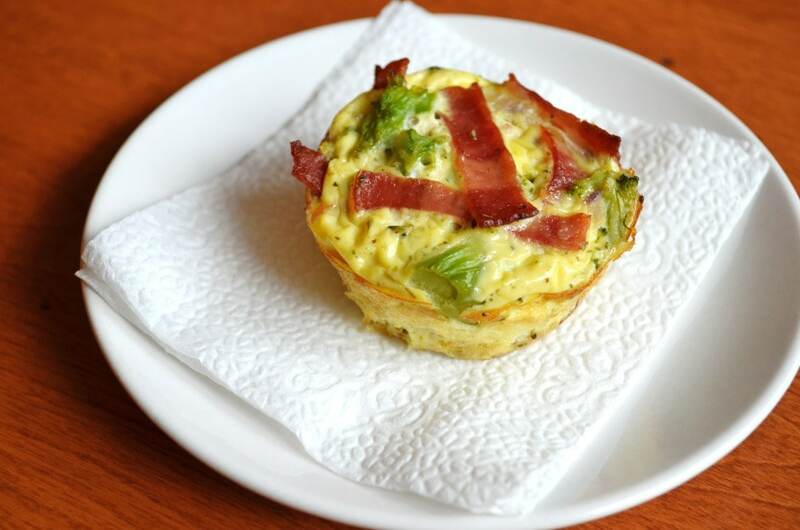 Here is another savory muffin for ya’ll and this one is loaded with broccoli, bacon and cheese(3 things after my heart!!) making it a perfect breakfast muffin in my eyes! Stuffed french toast is a real weekend treat, for breakfast or brunch! Our french toast is filled with fresh juicy peaches that are cooked with a little brown sugar and cinnamon and then topped with toasted walnuts to add some delicious texture to every bite! This post was last updated in April 2019 with new photos and information. It’s peach season here in Ontario and I can’t tell you how incredibly happy that makes me, especially when I am cooking up my Peach Stuffed French Toast Recipe…Mmm! You guys are going to go nuts for this one, with the fresh sweetness of the peaches and the crunch of the toasted walnuts…oh boy! I mean really, just looooook at these peaches! For this recipe you will need: peaches, butter, brown sugar, cinnamon, vanilla, walnuts, eggs, milk, bread and powdered sugar (optional). I get as giddy as a school girl as the month of August approaches where I am, not only do we have some of our apple varieties starting to ripen at the orchards, but we have pears, plums, cauliflower, corn and of course PEACHES ready to go from our local farmers! There is honestly nothing better than fresh and local produce, the flavors and freshness make any dish spectacular! Anyways, you are here for the Peach Stuffed French Toast Recipe I promised you right?! You know what I love about this recipe? Well besides the fact that we are stepping it up from your usual weekend brunch and creating a delicious stuffed french toast … I love how quick and easy it is to make! That is something I always try to promise you guys…quick, easy and FLAVORFUL meals that everyone can enjoy. And with this one you can even serve it up when you have overnight company and they will think they are eating at a cozy Bed and Breakfast! As with most of my recipes, you can also customize this one to your own tastes…add in strawberries, blueberries or even apricots if that is what you prefer. Use what is in season and plentiful, and you will always end up with a 5 star dish. You may be afraid to try a stuffed french toast thinking it is too difficult for your cooking level, but I promise you that even a 10 year old could make this with supervision! I have some common questions below for you to help you make it perfect every time. While brioche bread is considered the “classic” choice for french toast I personally prefer to use either a classic white bread or even challah. You can really use any bread you prefer but just be sure to adjust your cooking time based on the thickness and density so it doesn’t burn. Your bread is sliced too thin, make sure to get an uncut loaf so you can cut the desired thickness at home, including your slot for stuffing (see pictures at the end of the post). You soaked your bread too long in your egg mixture. This has to be a quick dip and flip, you don’t want to leave the bread in the bowl while you pour yourself a cup of coffee or it will be too wet and will not cook properly. Your pan is not hot enough! Make sure you get your pan ready to go ahead of the dipping process, in fact we leave ours on a medium low once the peach mixture has been removed to ensure it is evenly heated and then turn it to medium when we are ready to go. can i make blueberry stuffed french toast? YES you can make any kind of stuffed french toast your tummy desires! Some other great options for stuffing your french toast are; strawberries, blueberries, blackberries, cherries, pears, apples, and even bananas. You will want to adjust your brown sugar based on the fruit you choose to use and can even adjust your spices to include nutmeg or apple pie spice as well! While there is not much you need to make stuffed french toast I do recommend that you have a wide and low dish for dipping the bread in the egg mixture. Okay, okay…here you go! (This recipe makes 4 slices, adjust accordingly!) Get ready to put your traditional French Toast Recipe to shame! Stuffed french toast filled with fresh peaches cooked with a little brown sugar and cinnamon. Finished with toasted walnuts to add texture to every bite! Begin by melting butter in a medium pan over medium heat. Add in sliced peaches with the brown sugar, cinnamon, and vanilla. Once it comes together and peaches begin to soften, add in some water (about 1/4c or less) to pick create a syrup. Take your slices of bread and carefully cut a "slot" in the center starting at the top (See photos) Gently pull back to create a pocket for your peaches. Dip both sides of bread in egg mix and place in pan over medium-high heat. Cook for about 3 mins each side (until golden). Remove from pan and serve topped with toasted walnuts, powdered sugar and reserved peach syrup! You don’t need “ripe” peaches, in fact ones that are slightly under ripe are perfect for this dish! Make extra…TRUST ME! You will not have just 1 slice! This recipe is perfect for us as it is just the two of us…that is 2 pieces each! And here you have it my friends…the perfect Sunday Brunch!